I know we don't really do just "fiction" announcements and releases here on TGN all that often. You're here just for the games. But when gaming and comic icon John Kovalic launches a Kickstarter for a new project, I gotta let you know about it. 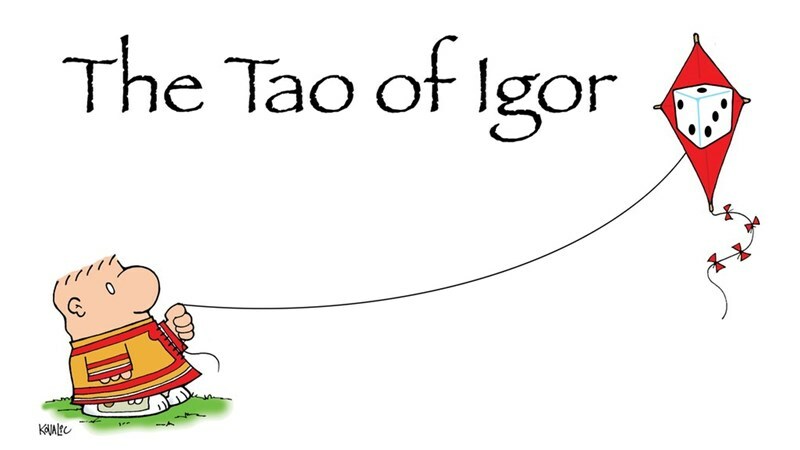 The Tao of Igor is up on Kickstarter now. Every year, John Kovalic, artist extraordinaire who has done work for projects like Cash 'n' Guns, Munchkin, and his Dork Tower series of comics (along with many, many, many others) does a charity bikeride event. The event raises money to bring healthy food to underprivileged people around Kovalic's hometown. It's a good cause, you can get some cool Munchkin swag, and you get a world-famous artist tooling around on a bike with a duck on his head. It's a win for everyone. Most of you know John Kovalic as the fantastic artist behind things like Dork Tower, Apples to Apples, quite a few Munchkin sets, and many, many, many other projects. 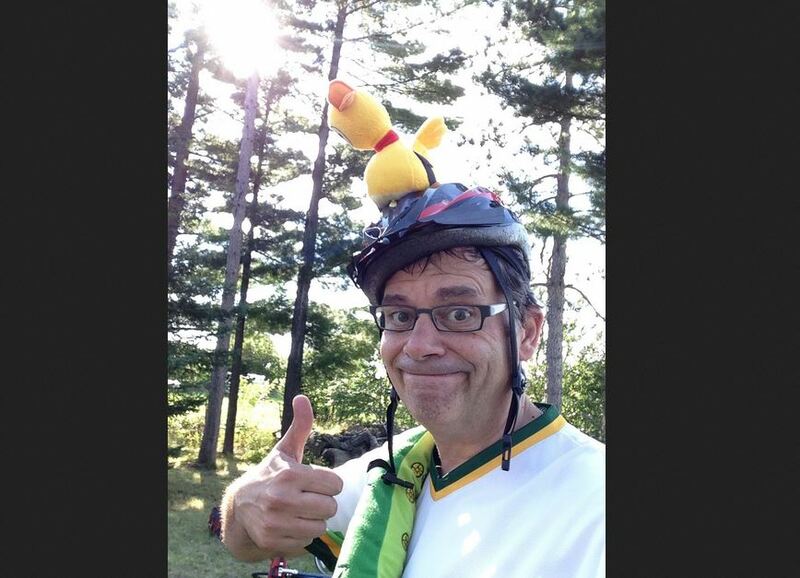 But he also likes to go out and raise money for charity while bicycling with a duck attached to his helmet (because he's cool like that). He's once more raising money for charity, and if you chip in, you can end up with some awesome stuff. Pretty much everyone's got "that one weird house" on your block. Strange noises at weird hours. Interesting yard artwork. Parties that spring up out of nowhere and disappear just as quickly. Otherworldly elder-things hanging out in the yard. Ok, maybe not that last one. But the house in Cthulhu in the House has that last one going on for it. And now that weird house can be in your house, as the game's now available. Munchkin's one of those games that's very easy to re-skin to bring in all sorts of different themes to the game. This has resulted in dozens of different expansions for it. 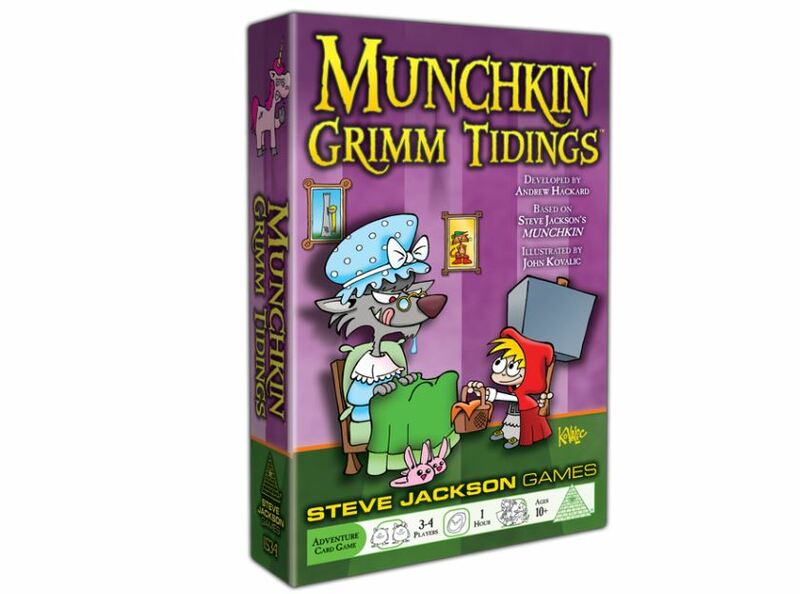 Well, Steve Jackson Games has announced a new one. And this one's exclusive to Walgreens drug stores. Every year, famed artist John Kovalic does his bike charity event. In order to raise funds for it, he will make postcards for Munchkin that are 100% game-legal and legit. Pledging to his team during the charity ride is the only way to get ahold of these. Well, the event's coming up soon, and Mr. Kovalic's posted up the artwork for this year's card. 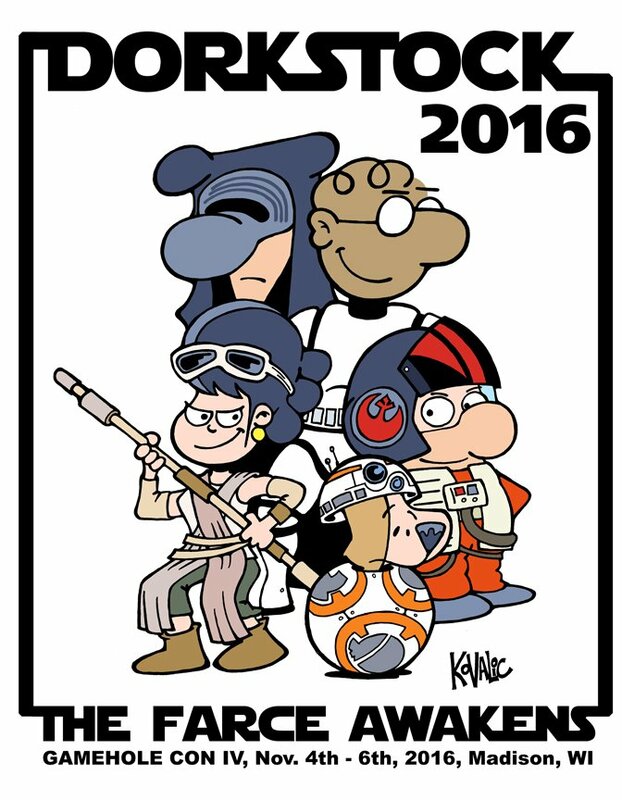 One of the comics I've read for longer than pretty much any other is Dork Tower. I remember getting some compilation issue decades ago and carrying it around with me in my gaming backpack. I think it finally disintegrated a couple years back. So I love seeing when John Kovalic has a new game coming out. Such is the case with Cthulhu in the House, a game that CoolMiniOrNot will be publishing soon. A new expansion for Cash 'N' Guns is coming out soon. It's called Team Spirit and it brings a whole new dynamic to the game: Teams! The world of crime is rough, and having someone that can watch your back is an invaluable resource. Now you've got a second person to help grab loot and one less gun barrel aimed at you. Asmodee has posted a preview of some of the other surprises that come in this set. Gamehole Con has announced that Dorkstock will once again be returning to their show. What's Dorkstock? Well, it's the show-within-a-show celebrating all things Muskrat. You don't like Muskrats? What's wrong with you!?!? How can you not love muskrats!?! You horrible, horrible person, you! Can anyone ever really have too much Munchkin? I don't really think so. But that's me. 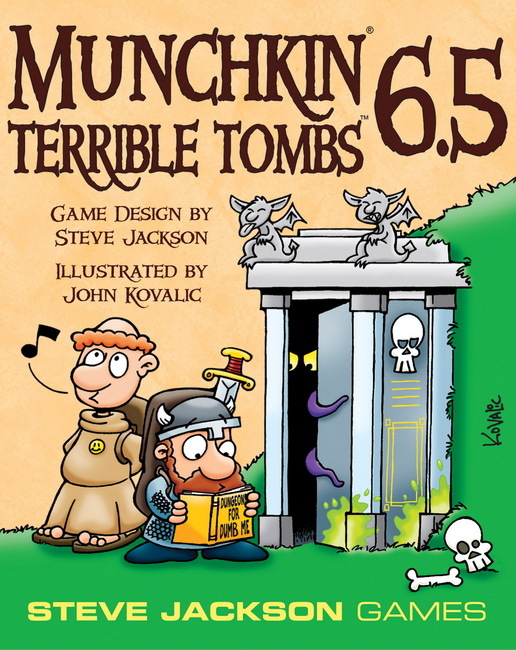 The folks over at Steve Jackson Games also don't think you can have too much Munchkin. As such, they've got two new expansions available. It's lunchtime and what could be better than a nice sammich? Well... two nice sammiches. Or more! When Kobolds get together to eat, it's not just the sammiches that might end up being eaten. You gotta make sure you don't get too close to King Torg's mouth (all hail King Torg!). And that's just the problem facing you in Knuckle Sammich, a new card game by 9th Level Games that's up on Kickstarter now. 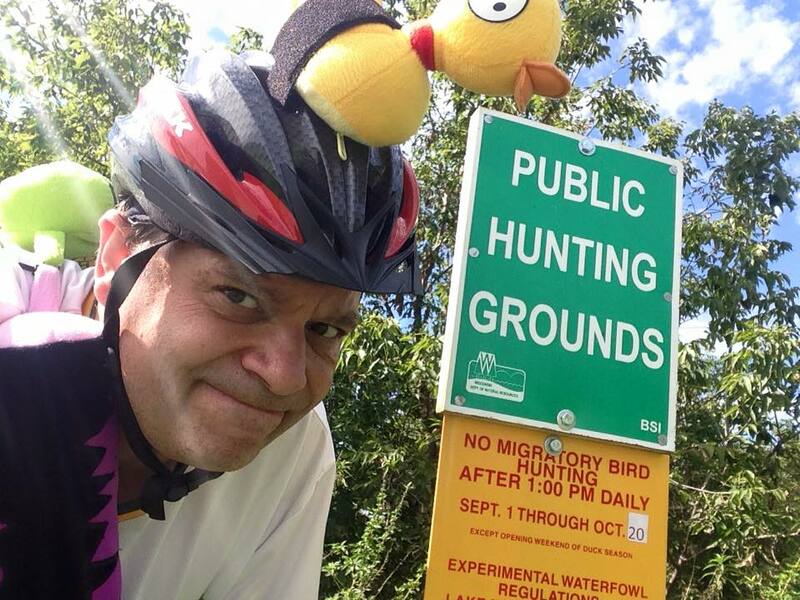 John Kovalic, comic and game artist (of such games like Munchkin, Apples to Apples, Cash 'n' Guns, and many, many, many more) does regular bike rides for charity. He has another one coming up soon and is reaching out to the gaming community to help raise some funds. But more than just putting your money towards a worthy cause, it's also a great way to get some swag. His current list has grown a bit since the initial announcement. 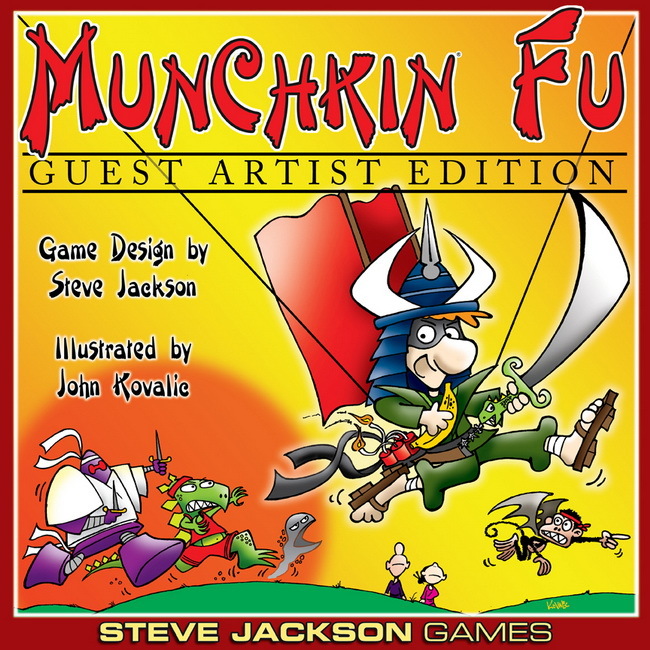 As you know, Steve Jackson Games is doing guest artist editions of their Munchkin games. Most of those were originally illustrated by John Kovalic. Well, when it came time to do the original Munchkin Fu game Mr. Kovalic wasn't able to do it. Well, that means that he is actually a guest artist for this set. John Kovalic, artist to the stars, is doing another of his charity bike ride events. 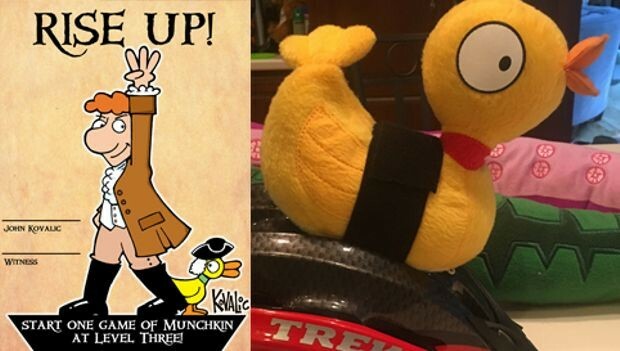 If you help support him, not only will you be giving your money to a good cause (in this case, the FairShare CSA Coalition), and not only will you ensure that he rides the course with a duck on his head, but you can also pick up some awesome Munchkin loot in the process. 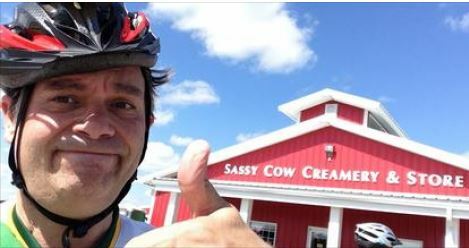 John Kovalic, the world-renown artist for almost countless games and the comic Dork Tower, is going to be going on another of his charity bike rides. This time it's for Diabetes research. He'd love it if you would donate to the cause and support him in his ride. There's prizes for those that donate, too. 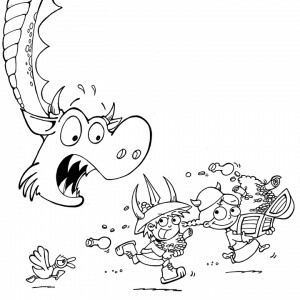 You can get a pdf of his coloring book, a Munchkin postcard that lets you start at Level 3, or even original Munchkin card artwork. Why not give to a rather worthy cause and get some great rewards because of it? 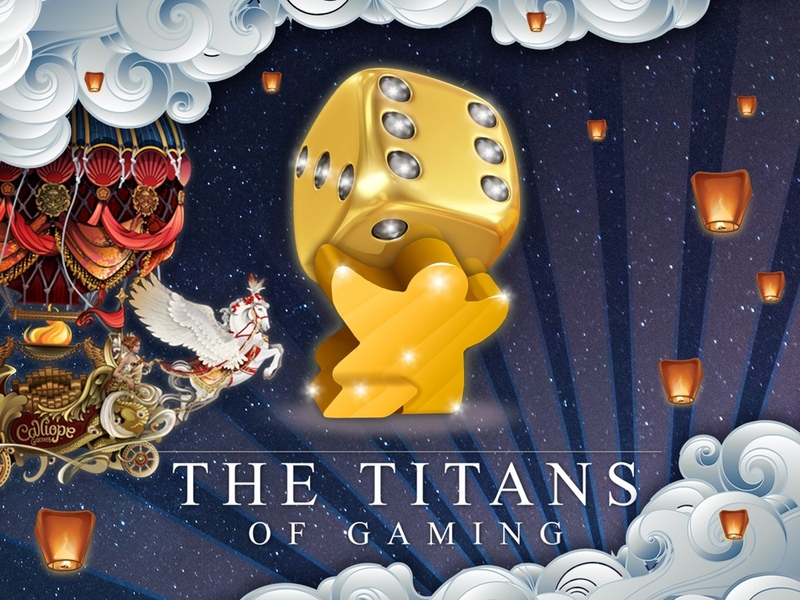 Calliope Games isn't just collecting together some of the greatest game designers for their Titan Series. They've got some of the greatest gaming artists joining the club as well. The games will now feature special, Kickstarter-exclusive cover art. Echo Chernik (Shadowrun), Larry Elmore (Dungeons & Dragons), Andrew Hepworth (Exalted, Love Letter), and John Kovalic (Munchkin) have joined on to make these covers and other artwork for the games into truly something epic. The campaign is 2/3 to their funding goal and still has 40 days to go. Remember, backers will be getting these games for roughly 50% of MSRP, and you can get just the games you want from the campaign. 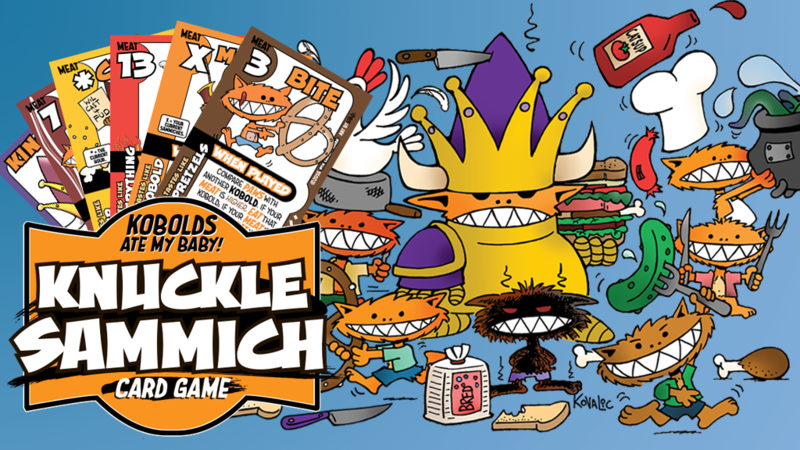 Steve Jackson Games will have a pop-up Munchkin store in New York in February. Stop by and get advance releases and also get your games signed by the designer, brand manager, and artist. On Valentine’s Weekend, 2015, Steve Jackson Games will open Munchkin World NYC, a pop-up retail store in Manhattan. From February 13 through 15, Munchkin World NYC will feature advance releases of Munchkin games and expansions, open gaming, a Munchkin invitational, and signings from Munchkin creator Steve Jackson, Munchkin Brand Manager Andrew Hackard, and Munchkin artist John Kovalic. We also have another super fun exciting thing to show you at the store! Renegade Game Studios has announced Double Feature, their new movie game, illustrated by John Kovalic. Players earn points by being the first to name a movie that links elements from two DOUBLE FEATURE cards. 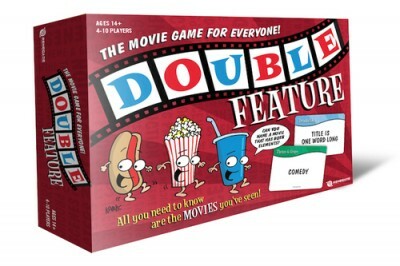 The first player to earn enough points wins DOUBLE FEATURE! "It's a totally new kind of movie game," said Kovalic. "You don't need to know movie trivia – all you need to know are the movies you’ve seen. While movie buffs will love it, casual movie viewers can compete alongside them." John Kovalic lets us peek onto the drawing board for a look at the process behind the making of the art for Munchkin Treasure Hunt. Last year, I was given the list of new projects I’d be illustrating for Steve Jackson Games. That’s when I noticed something unusual. No, this was something else entirely. This was something called Munchkin Treasure Hunt: a Munchkin-themed game for kids! 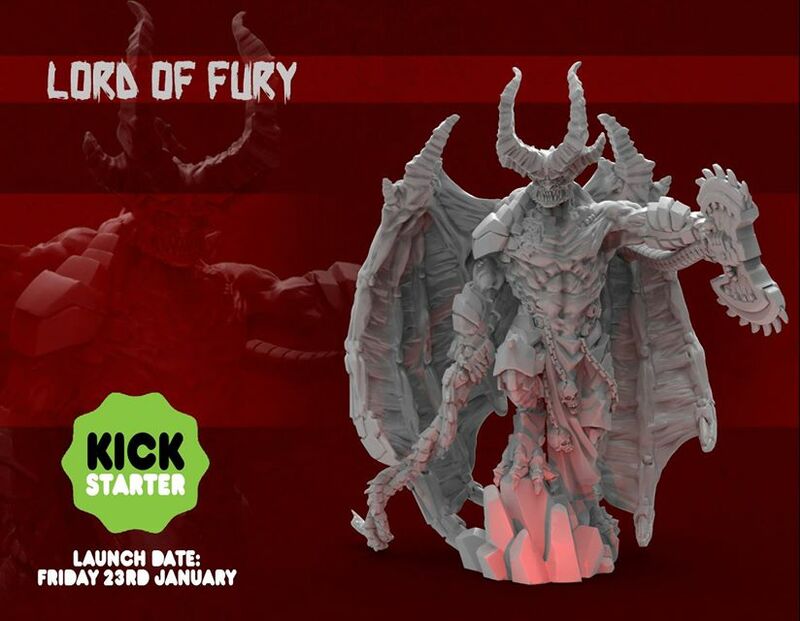 John Kovalic has a WIP shot up of the Matt and Gilly Zombicide models they've been working on. There Matt and Gilly Zombicide minis are looking SO COOL! YES, I SAID "MATT AND GILLY"! 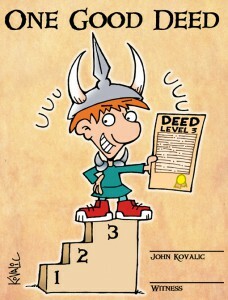 John Kovalic is giving away signed, limited edition Munchkin cards to those that pledge to his charity bike ride campaign. GUYS! The ONE GOOD DEED Munchkin postcards are at press! They come with a very special, Steve Jackson-sanctioned and official rule: Start a game of Munchkin at Level 3! How do yo get one? 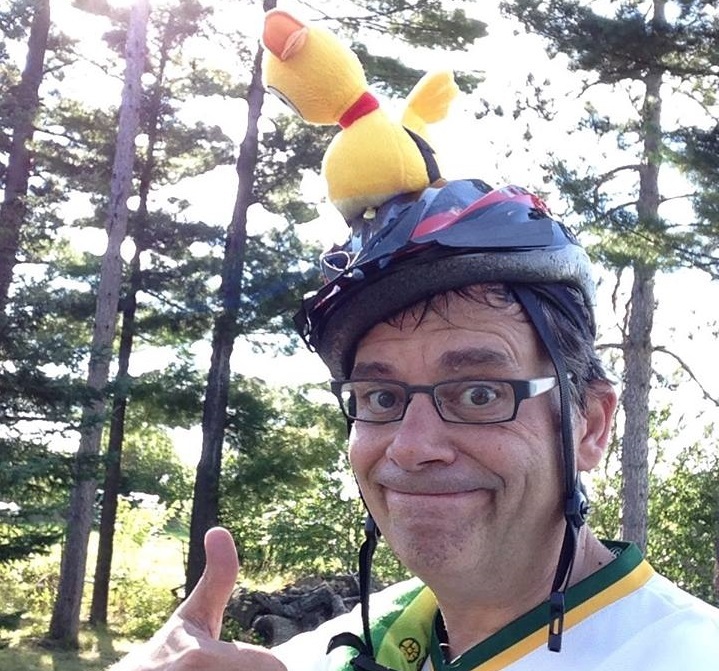 Simply by pledging $10 or more (please pledge more, if you can) to my upcoming Insane Charity Bike Ride! John Kovalic is one of the many gaming celebrities that will be at the show. He's posted up a schedule of where he'll be at during the event so you can stop by and say hello. 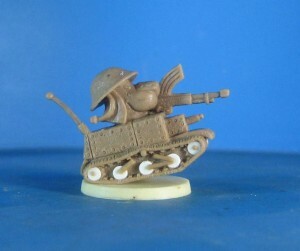 John Kovalic has posted up a green of the Carson the Muskrat mini they're creating for Zombicide. 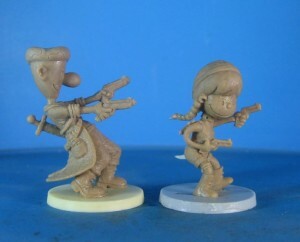 The first draft of the Dork Tower sculpts came in from the Zombicide folks! I'M SO HAPPY! Heeeeeere's Carson! Game Trade Magazine sat down and talked with famed artist/game designer John Kovalic about his latest work, ROFL! John Kovalic is known for many things: from Apples To Apples to Munchkin, he’s helped create hundreds of games and gaming supplements over the last 15 years. He’s the creator of award-winning comics like Dork Tower (which runs in GTM) and Dr. Blink: Superhero Shrink. He’s helped develop games that have sold millions copies, and this month, ROFL! 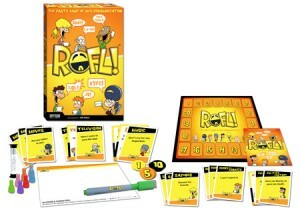 his own fast-play party game, hits the shelves.